The CPA Team Based Model unites tax and business planning specialists to create better results for everyone involved. In this shifting landscape, firms that will thrive in the future will learn how to use this trend to their advantage, rather than struggle against it. Are you a successful business owner and totally frustrated by the amount of taxes you pay every year? ​The truth is, the world is full of accountants who do little more than record history, putting the “right” numbers in the “right” boxes on the “right” forms by the “right” deadlines to keep you out of trouble. But then they call it a day. Want to see what real tax planning can do for you? Are you confident you’re taking advantage of every tax break you deserve? Tax preparation and doing the company’s financials (compliance work) is not a substitute for tax planning. Marilyn is the Managing Member of Monamie Business & Tax Consultants. With over twenty years of experience in Banking and Financial Services, Marilyn helps accountants and business owners by educating them on the basics of advanced planning, leading them through a process to identify opportunities, and providing them with a team of the country’s top specialists to help along the way. Ultimately, this allows the best solutions to be accomplished in the most efficient and risk-free system available. As a Team Based Model Consultant, Marilyn works with highly skilled CPA’s and tax professionals to provide advanced business and tax planning strategies to business owners, high income taxpayers and high net worth clients. The Team Based Model brings together some of the most forward-thinking professionals in the industry to help tax practitioners and financial advisors offer more proactive and comprehensive services to their clients. Professionals in the model are specialists in their respective sections of the tax code, providing advanced tax planning and tax reduction strategies to tax practitioners and business owners across the country. Marilyn holds the Retirement Income Certified Professional®, (RICP) designation from the American College of Financial Services. The RICP® educational curriculum is the most complete and comprehensive program available to professional financial advisors looking to help their clients create sustainable retirement income. Marilyn is a graduate of the College for Financial Planning, Denver, CO and has completed the CFP® Certification Professional Education Program. She is a Florida Licensed Life, Health and Annuity Agent, a Licensed Investment Advisor Representative and a NMLS Licensed Mortgage Loan Originator. 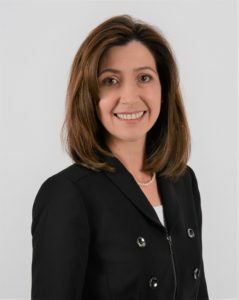 Prior to relocating to Florida, Marilyn spent eleven years at Fidelity Bank in Central Massachusetts where she was Assistant Vice President of Residential Lending and then promoted to Vice President, Client Relationship Manager in Insurance, Annuity and Investment Services. Marilyn was born and raised in Fitchburg, Massachusetts. Her family began migrating to Florida in 2001 and within a few years she was the only one left in Massachusetts. Soon visiting over the holidays was not enough. She was missing important family moments and especially watching her nieces grow up. When the financial world began to change, she decided there was no better time to make the move and followed her family to Florida in 2009. From the simplest of account roll-overs to the most complex tax mitigation and business planning scenarios, the CPA Team Based Model can help. The following list of our planning specialists is representative of the variety and depth of the team.